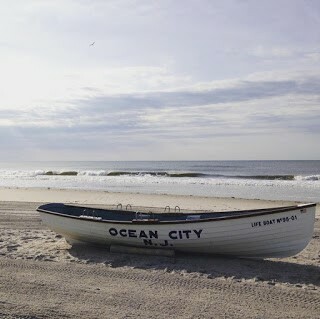 For the next few months, my new home is Ocean City, New Jersey. This city is not usual at all. First of all, the whole city is surrounded by the Atlantic Ocean, so you have to go across a bridge to get there. Ocean City is well-known as one of the greatest family resorts in the United States of America. There are many reasons for this, including the fact that Ocean City was founded mostly by Native Americans. Nowadays, you might also see that there are many different churches and temples in the city. In my opinion, another reason that Ocean City is so great is because it has been an alcohol dry city for a long time. This brings a very nice atmosphere because you won’t meet tipsy or intoxicated people. This also makes the city really safe, not merely for locals, but also for tourists and J-1 students as well. Surrounding Ocean City is the Atlantic Ocean. Therefore, it is not surprising that you can find so many beautiful beaches along the coast of Ocean City. Of course, surf boys and surf girls take advantage of these beaches the whole day and throughout the evening. I usually go jogging quite early in the morning and surfers are always already in the water. There is a surf school next door from my job and it is very interesting to meet the community of surfers. They live a little bit more in harmony with nature than common people. The ocean is relatively clean, and when somebody drops some food on the floor of the boardwalk or in the sand, seagulls remove it. It seems though that Ocean City is still not quite as clean. But the countryside of the Ocean City is definitely beautiful. The boardwalk in Ocean City is one of my favorite things. I have noticed that the boardwalk is the main street for people, events and fun. I have never seen in my life so many families near the ocean in the evening. This creates a unique atmosphere full of positive energy. Kids play, everybody smiles, people eat their favorite treats, and I think it gives people a happy and relaxing mood. Ocean City is also special to me because of the people that I have met so far. My employer and his wife and daughter have been able to create a really nice community of young students who work for them. Some of my colleagues are here for the fourth time! Students are not just from Europe, but also from the Caribbean. I feel pleasant among my peers and we plan lots of free time activities together. I must emphasize that right now, there is one thing I know for sure. I will really miss the Atlantic Ocean and its beautiful beaches. I am getting used to spending my free time in the morning close to waves and morning sun. Moreover, I will miss being with people as friendly and talkative as Americans are! Looking to find your home away from home? Check out Greenheart Exchange’s Summer Work Travel program here!